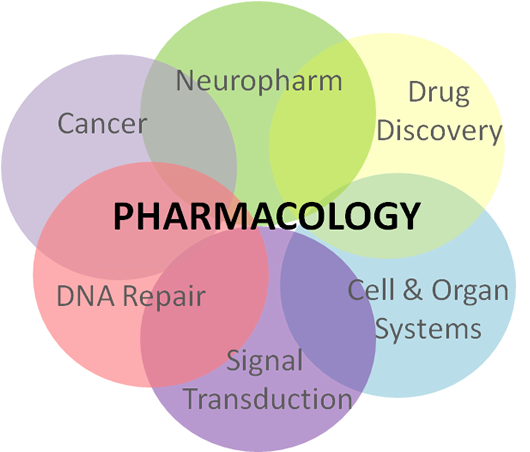 Pharmacology is the study of how drugs affect the body and how the body affects drugs. Pharmacology is one of the most exciting areas of biomedical research because you can have a real impact on human health while working in the lab. Pharmacology is the study of drugs. Drugs are chemicals that produce therapeutically useful effects. They modify functions of living organisms, and are generally given to prevent, diagnose ,or cure diseases .Drugs are an essential part of patient care ,and safe usage of drugs requires a sound knowledge of their : mode of action ,side effect, toxicity, range of dosage, rate and route of excretion and interactions with other drugs . pharmacokinetics, which is the study of the fate of drugs in the body right from the time they enter the body until they, or their by-products, are eliminated from the body .Pharmacology is multidisciplinary, bringing together ideas from chemistry, biochemistry, cell biology and integrative biology to create a comprehensive framework for understanding and treating disease. Here, at the Konkan Gyanpeeth college of Pharmacy and Research Institute, Department of Pharmacology, Teachers and students who work together to advance the forefronts of new knowledge to develop novel therapeutic approaches for treatment of disease. There are a number of exciting opportunities for students to get knowledge about drugs, by using ICT Tools. The subjects in Pharmacology introduce students to the unified study of the interaction of chemical agents and living matter. The emphasis is placed on the principles of drug action and on the reactions of living processes to drugs. 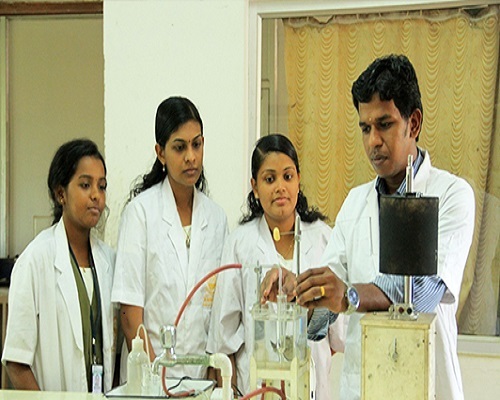 Toxicology, a division of Pharmacology, is concerned with the adverse effects on life of therapeutic drugs and other chemicals. Toxicology is of increasing relevance to modern society. Members of the department are actively involved in research, particularly in the pharmacology of the diabetes, cardiovascular, central nervous system, respiratory pharmacology and molecular pharmacology. There is also a focus on information technology with development of multimedia teaching methods.